Learning mathematics becomes more effective when teachers leverage their students' mathematical and everyday knowledge as resources for instruction. Thus, tasks that reveal these forms of knowledge would be especially useful to teachers. Unfortunately, such tasks are hard to find and even harder to create. Consequently, we developed a collection of mathematical tasks that we hoped would elicit “children’s multiple mathematical knowledge bases (i.e., the understandings and experiences that have the potential to shape and support children’s mathematics learning—including children’s mathematical thinking, and children’s cultural, home, and community-based knowledge)” (Turner et al., 2012, p. 68). These tasks proved to be productive and took on two forms, one of which called on students to provide mathematical and real-world justifications for decisions, and one of which used a community issue as a “contextual scaffold” for linking students’ community- and school-based knowledge. 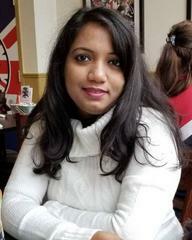 Debasmita Basu is a doctoral student in mathematics education at Montclair State University in northern New Jersey. As a high school mathematics teacher in India for four years, she was dismayed that her students tended to consider mathematics as a set of rules and formulas with little to no connection to their lives. Hence, with the greater goal of changing the nature of school mathematics, Debasmita started her doctoral studies in 2014. Her research agenda focuses on designing mathematical activities that aim to cultivate students’ critical consciousness towards various social and environmental justice issues and help them realize the power and value of mathematics..
Steven Greenstein is an associate professor in the Department of Mathematical Sciences at Montclair State University. He enjoys thinking about mathematical things—and how people think about mathematical things. 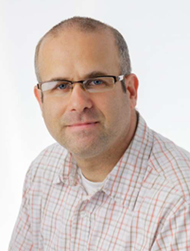 Through his work, he aims to democratize access to authentic mathematical activity that honors the diversity of learners’ mathematical thinking, that is both nurturing of and nurtured by intellectual agency and that is guided by self-directed inquiry, mathematical play, and the having of wonderful ideas.